the 1986 Stallone cult classic, which you can get here! but I must again, since it's Friday the 13th! I can totally see this Jason bot busting a move to it! Check out more horror bots here! I'll be doing the Bad Bot Battles on Facebook. so keep your eyes on my page here! 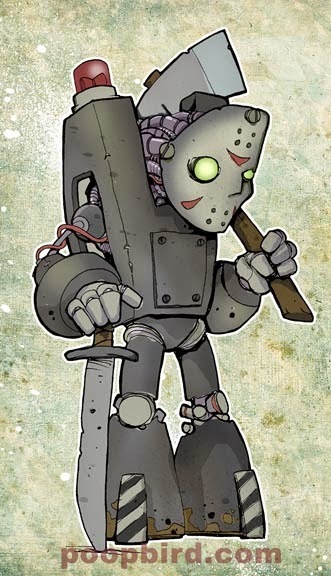 jason bot looks cute though!